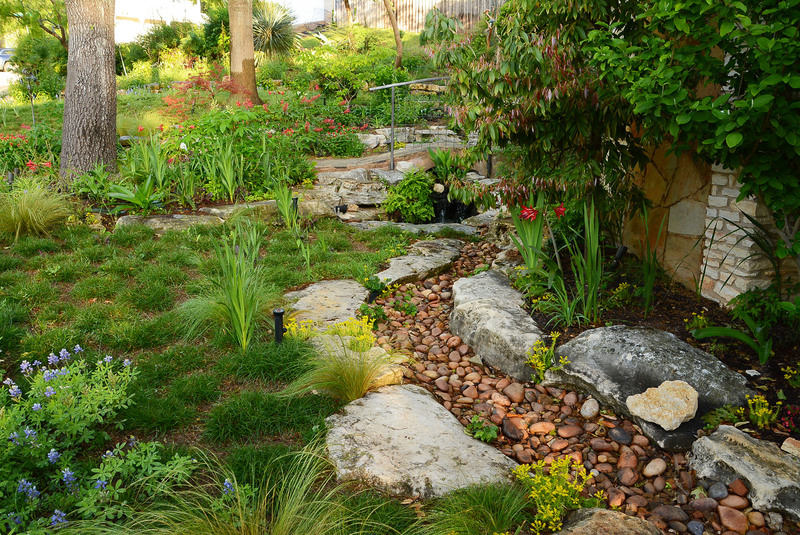 If you’re thinking about removing your turf but don’t quite want to go all the way to installing landscape beds, you might consider planting Texas sedge. It’s very water-wise and drought tough, and performs great in partial shade. 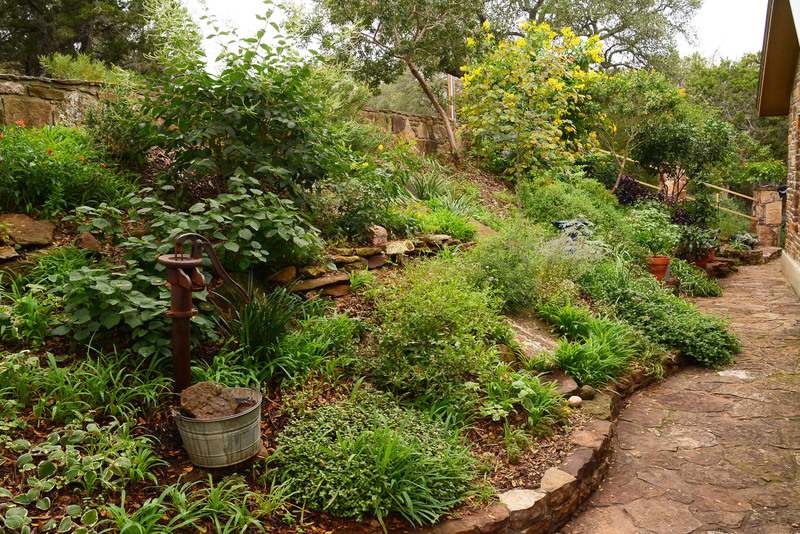 They’re also perfect to plant under live oak trees or others where you’d like groundcover in those semi-shady spots. Or simply accent areas where you want their textural grassy low-care foliage. There are many species of sedges so find the one that you like for your conditions. Sedges don’t spread and fill in like lawn grasses do, rather they grow in clumps, so don’t expect a uniform look. Texas sedge stays naturally around 10 inches tall, flopping over on itself, and doesn’t require mowing. The texture and pattern created by planting large swathes of sedges can be quite beautiful, especially with some rocky, bermed areas to simulate a natural limestone outcrop. Sedges prefer well-drained soil and at least partial sun, and only need irrigation during especially long dry spells. If they brown in a harsh winter, simply shear them back.